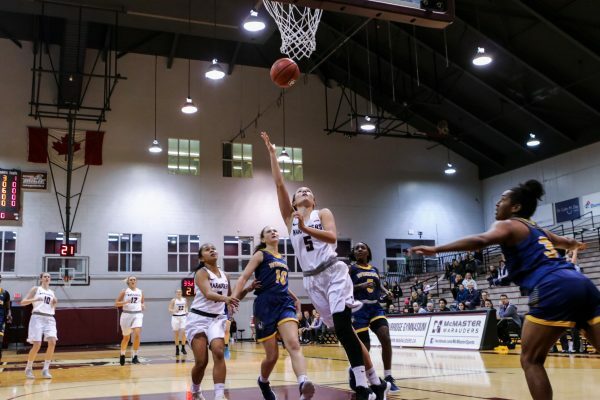 Things have been going very well for the McMaster women’s basketball team and they have no plans to slow down. Currently in first place in the Ontario University Athletics West with a 12-2 record, and the worst arguably behind them, another trip to the University Sports national finals looks on the horizon. But this time, senior guard Hilary Hanaka and the Marauders aim to leave with a medal. Although the Marauders faced teams like the McGill University Martlets, who they have seen before in exhibition play, the games against teams like the University of Calgary Dinos, who play a much grittier style than Hanaka and the Marauders were used to, caught them off guard. But Hanaka believes that having been there before, in addition to having such a tough OUA season this year and playing against highly skilled Ontario teams, will help the Mac women get to that top level to compete at Nationals. So far ensuring that OUA playoff spot has been going well for the Marauders. 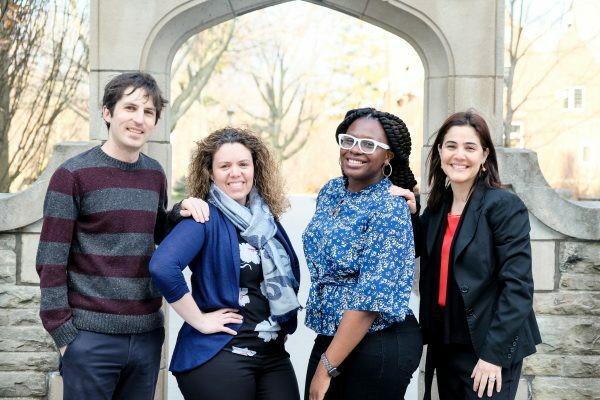 Even with the loss of key veterans like Lexie Spadafora, Jelena Mamic and Adrienne Peters, Mac does not appear to have missed a beat. One of the reasons is the addition of Christina Buttenham, a Hamilton native and transfer from the University of Iowa, where she played from 2014 to 2017. Not only does Buttenham have National Collegiate Athletic Association experience, but she also played for the Canadian Junior National team in 2014, and was named an Academic All-Big Ten selection as a junior and as a sophomore while at Iowa. Buttenham has already been such a great addition for the team helping defensively, averaging 5.4 rebounds a game and having the fourth highest points per game average on the team, with 9.9. The help has been able to give Hanaka the opportunity to have big games like she did this past weekend against the University of Guelph Gryphons. With a game-high of 28 points, shooting an astounding 62.5 per cent from the field and 72.7 per cent from the three-point line, Hanaka led the team to defeat the Gryphons 109-80 on the road. 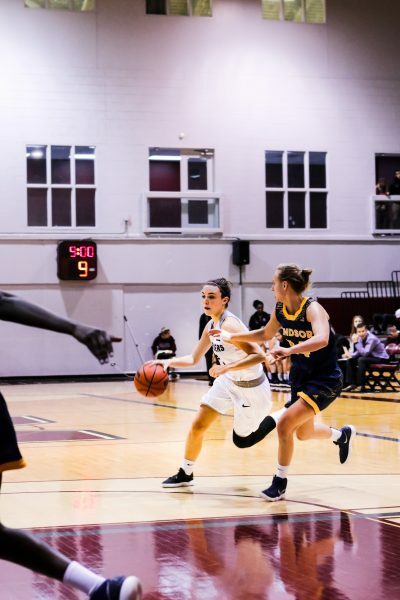 Guelph was one of two wins this past weekend, the second came against the Wilfrid Laurier University Golden Hawks, who they defeated 59-43 to earn their sixth straight win. 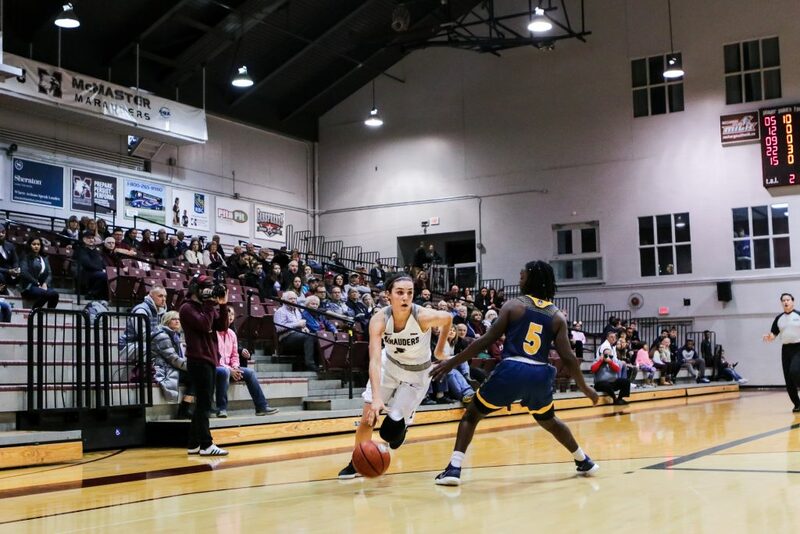 Having already played their most personal game this season against the reigning OUA champs the Carleton University Ravens, defeating them 64-52 in November, the worst is over and focusing on staying on top is the Marauders’ top priority. With the Marauders’ next two games coming against the Lakehead University Thunderwolves this weekend, they will be making sure they go into every practice seriously so that they are focused come game time, regardless of who is wearing the opposite jersey. This is the mindset the Marauders plan to have until the last buzzer goes off for the season.